The fish is called a sector of the economy, the activities of enterprises which aimed at the cultivation, processing and marketing of fish, improve the quality of fish and its quantity in all tanks. Fish farming is classified by place, which is, therefore, divided into fish farming in natural water bodies and fish farming in ponds. All of Russia is divided into so called zones of the fishery – large swathes of territory, separated by a contour of the annual number of days with air temperatures exceeding 15 degrees Celsius. First area: 60-75 days in which the temperature exceeds 15 degrees Celsius. Second zone: 76-90 days in which the temperature exceeds 15 degrees Celsius. The third zone: 91-105 days in which the temperature exceeds 15 degrees Celsius. Fourth zone: 106-120 days in which the temperature exceeds 15 degrees Celsius. Fifth zone: 121-135 days in which the temperature exceeds 15 degrees Celsius. Sixth zone: 136-150 days in which the temperature exceeds 15 degrees Celsius. Seventh zone: 151-175 days in which the temperature exceeds 15 degrees Celsius. 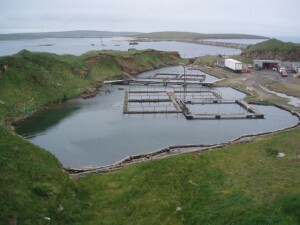 Historical development of aquaculture has thousands and tens of thousands of years. About the Motherland of this kind of activity very little is known: historians can not agree on this. At the present stage fish farming in natural water bodies represents an increase in population, increase reproduction and improving the quality of the fish stock in natural water bodies: lakes, rivers, seas, etc. Of particular relevance is fish farming is becoming at the present time in connection with the deterioration of the environment, anthropogenic pollution of water and other things. Particularly affected are catadromous fish that live in estuaries, rivers and lakes, and anadromous, living in the seas. (“checkpoints” — so those who are for reproduction is required to “pass” a certain distance.) As a result of active anthropogenic intervention in the natural hydrological objects are destroyed the spawning grounds of these fish, formed by geographical isolation. In Russia fish farming in natural water bodies first started known at the time the landowner Vladimir Pavlovich Braski (XIX century). To this day he is considered the founder of industrial fish farming in Russia. He developed the methodology of artificial insemination and incubation of eggs, he established the first fish hatchery. Until 1917, the fish production was developed only at the level of activities enthusiasts. But in Soviet times fishing was done seriously and in 1934 there was the General Directorate for land reclamation and regulation of fisheries in natural water bodies. Pond fish farming includes fish farming in artificial ponds – ponds, man controls all the processes in this type of work. It is argued that the development of pond farming in Russia began approximately in the XII-XIII centuries, when organized special ponds at monasteries, where they grow fish, which fed the monks and parishioners. Now fish is not only used ponds and any other ponds, perhaps even the use of integrated systems with mines, cooling ponds, heaters and other achievements of modern technology. Feeding the fish feed used, especially prepared, used mechanical means of feeding. Fish farming is carried out in parallel with the improvement of acclimatization of new fish species. Measures of land reclamation include the purification of water, combating siltation of bottom, excessive growth of aquatic plants, installing Rimouski structures, fish passes, rybopromyshlennikov, machine tools feeding and other activities that restore and improve the natural environment of fish, establish a stable hydrological regime. The training of spawning grounds: clearing and deepening the channels is cleared to the bottom; arranged artificial spawning grounds. Arranged the whole acclimatization station, peresushivaya fish in ponds with more suitable conditions for them. All this became possible thanks to the development of aquaculture as a scientific discipline. 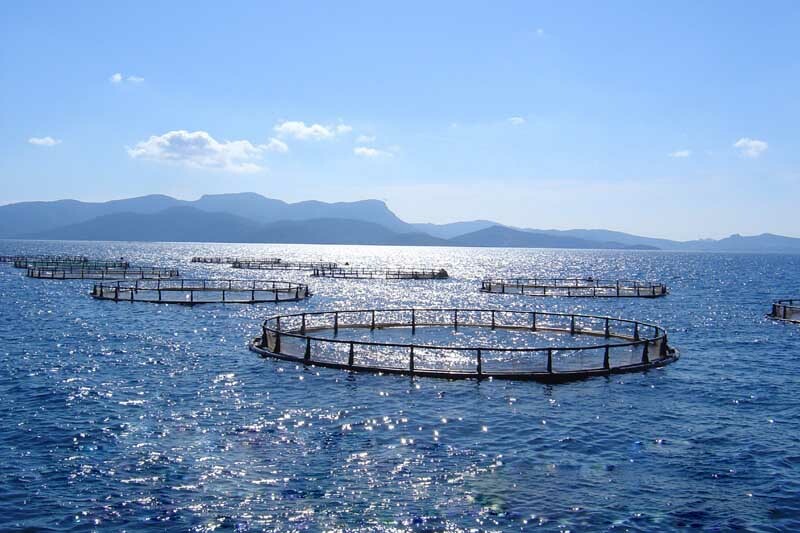 This discipline examines biological bases of aquaculture activities, biological activities in fish farming: irrigation, acclimation of fish, artificial breeding them, creating pure lines of fish (breeding), incubation of eggs, feeding of fish. 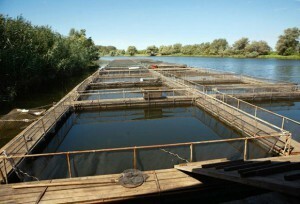 In Russia, as in most countries, fish farming is considered part of the livestock industry. Russia has great prospects in fish farming, as the area of water resources Russia is much bigger than in other countries, one lake is about 25 million hectares, 5 million hectares of reservoirs, about 155 acres of ponds, about 300 thousand square meters of the cages. Russia produces even less than half a percent of world total industrial produced fish is one of the last places in the world for fish breeding. The volume of fish production has fallen dramatically. For example, if in the 80-ies of the last century, the fish production was about 190 thousand tons per year, produce about 75 thousand tons. Energy have a very high cost. Quality of food not produced in Russia, and therefore to purchase them in this country very difficult. Poor quality, of course, you can get hold of, but they are not inferior to foreign ones, except in high price. The quality is much lower. This makes the Russian fish is practically not competitive in comparison with imports. High cost of implementation of new techniques and technologies. Previously, many fisheries were extensive way of growing fish: the fish was launched into water bodies, without giving additional forage. In connection with this fact the productivity is greatly decreased. All of this suggests that it is relevant artificial fish farming, which make it intense way: to use a special feed, to reconstruct the ponds. 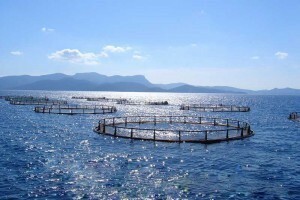 That is why you created the “code of laws” — the program of development of aquaculture in Russia. 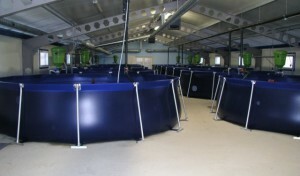 to reduce material costs for the production of fish. 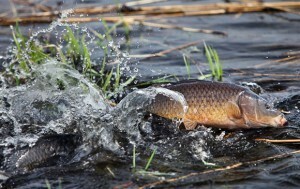 Analysts argue that if you compare the fish production with other agricultural sectors for economic efficiency, we can safely say that the product of fish production per hectare of land will be much more interesting economically: fish grown on a hectare of land will be more profitable to market than the number of crops on the same hectare. The creators of the program claim that it only three years later I get to see the result – increasing sales of fish products to several tens of tons. In addition, the reconstruction works will involve people tradesure, then there will be employed a greater number of people. 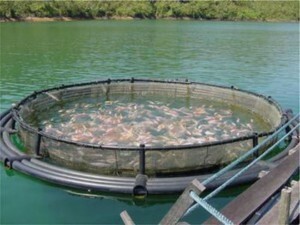 Currently a very popular form of fish farming is the cage. What is it? 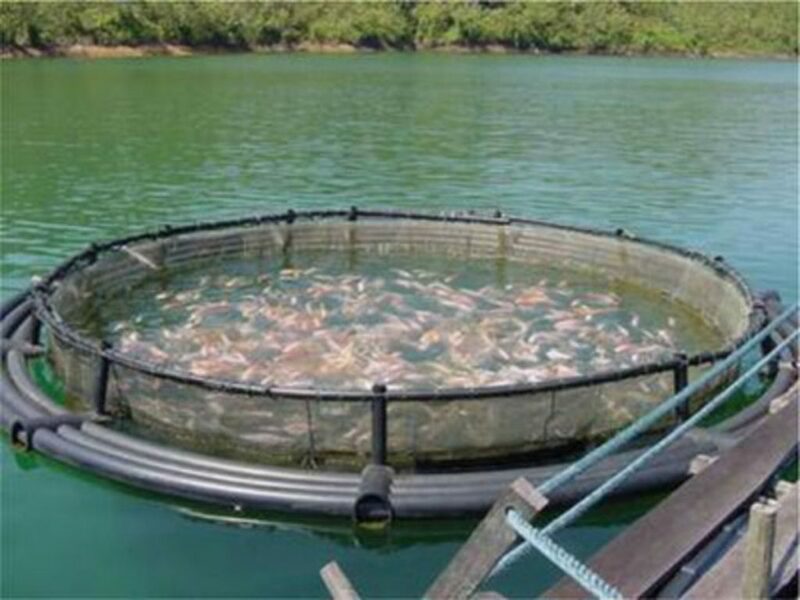 Cage fish farming is considered a kind of fish-farming in natural reservoirs, however, according to experts and the creators of the program of development of fish farming, has a number of indisputable advantages. For example, the most important advantage is that fish farms are located in waters that are suitable for other sectors of the economy, while turnover is not confiscated farmland to build reservoirs and equipment. Cage farms is the least resource-intensive, does not require forced water purification, water exchange. The most efficient is agriculture in that case, if the water is clear and the bottom sandy or rocky. The flow of water should vary within 0.1– 0.6 meters per second. The oxygen content in the water shall not be less than 6 milligrams per liter. The water temperature in the pond should not exceed 20 degrees Celsius. On cage farms should take no more than one thousandth part of the area of the reservoir to avoid contamination. The PH of the water should not be higher than 8, otherwise the fish may damage the gills. Cages set at a depth of no more than 5 meters. The minimum distance between the SADC and the bottom should not be less than 1 meter. Cages are of two types by location: marine and freshwater. In terms of its structure, they can be floating, fixed, floating on pontoons. Permanently installed on piles and are used throughout the year. Floating cages are installed far from the coast. Are most comfortable floating on pontoons machines. Pontoons are steel pipes that are installed along the cage lines are the anchors for the bridges. On both sides of the Central tube and placed cages. This farm operates year round. An example of a successful aquaculture can be considered a so-called Egorievsk fish farm created in Soviet times. Though in Soviet times the fishery had a national value, with the departure of the country from a planned economy, the enterprise moved to private property. The enterprise was one of the first to have adopted a policy of improving the fishery, restoring what was lost, and is considered the most successful economy in Russia, has a complete cycle fish farming technology. The company is free to grow fish from fry to marketable weight and sells. Advertising campaign of the enterprise is conducted in all areas. In order to improve profitability and increase popularity, the company organized a recreational fishing. The farm includes 19 ponds separated by dams, several of them arranged recreational fishing, so that they are equipped at the entrances and places for fishing. The total length of the huge economy of up to 40 km, and the area of all ponds of 2 500 hectares. In this farm bred traditional types of fish: common carp, silver and hybrid carp, crucian carp, tench, pike, white Amur, perch. A fish grown in this farm, far exceed the minimum marketable weight (500-600 grams): their weight is up 5-6 pounds.